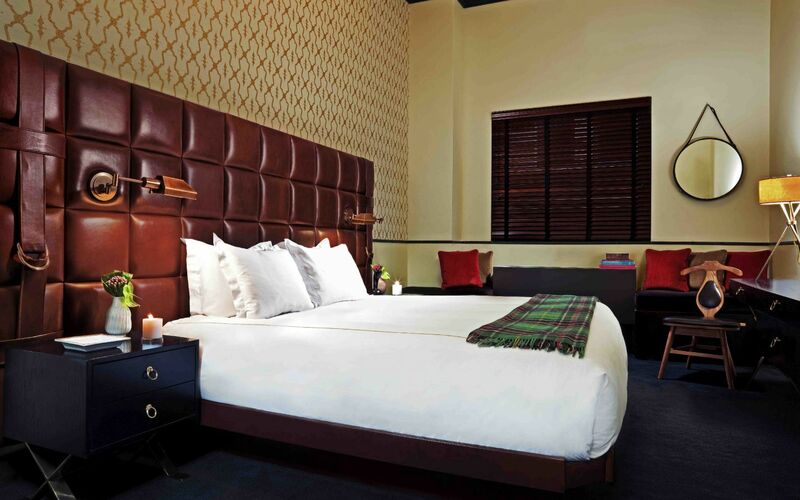 Modern and manly, Thompson Hotels’ Gild Hall is the place to explore all that the new lower Manhattan has to offer. 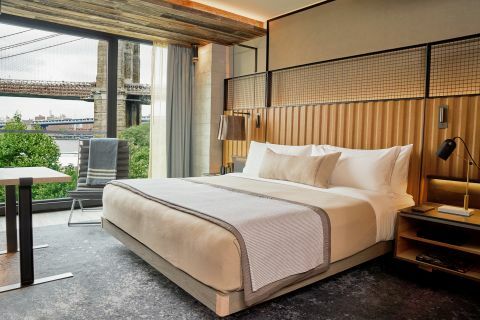 Tucked away down a quiet cobblestoned side street aptly named Gold Street, Gild Hall is just steps from Wall Street and the newly opened One World Trade, while the rest of the city is a mere subway ride away. 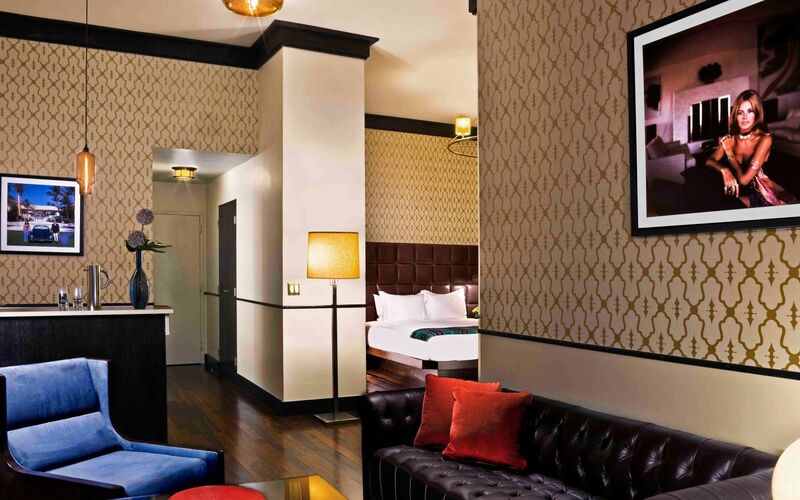 While staying here, guests can experience firsthand the Financial District’s exciting comeback. 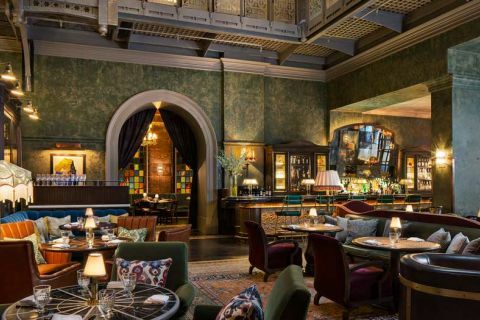 The lobby’s decor is hunting lodge meets gentleman’s club, with a deer-antler chandelier and cowhide throw rugs covering the wood paneled floors. 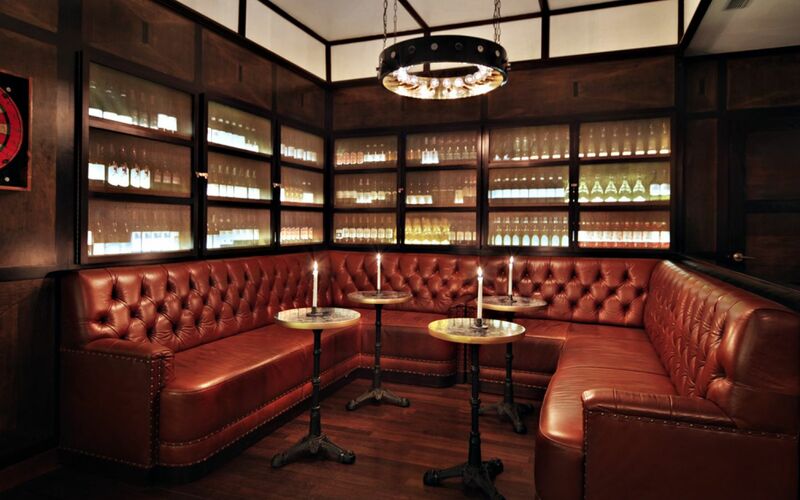 Guests can relax and dive into a book in the two-story library lounge. 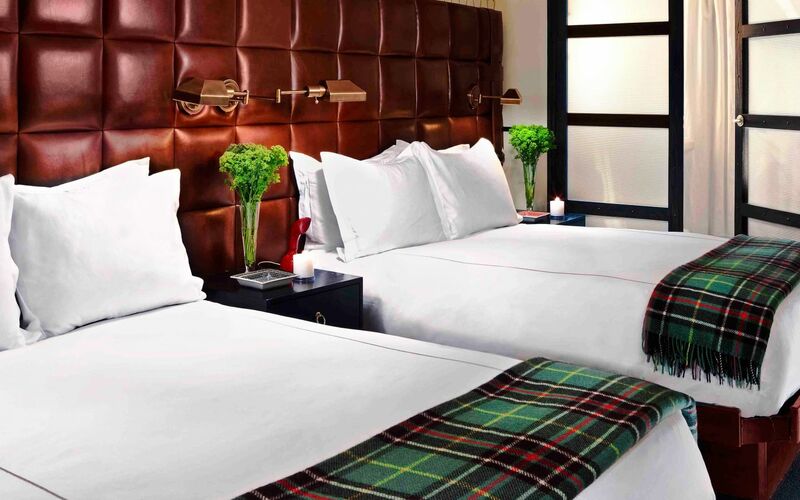 The 126 guest rooms have leather headboards, deep colors, and plaid flannel throws. 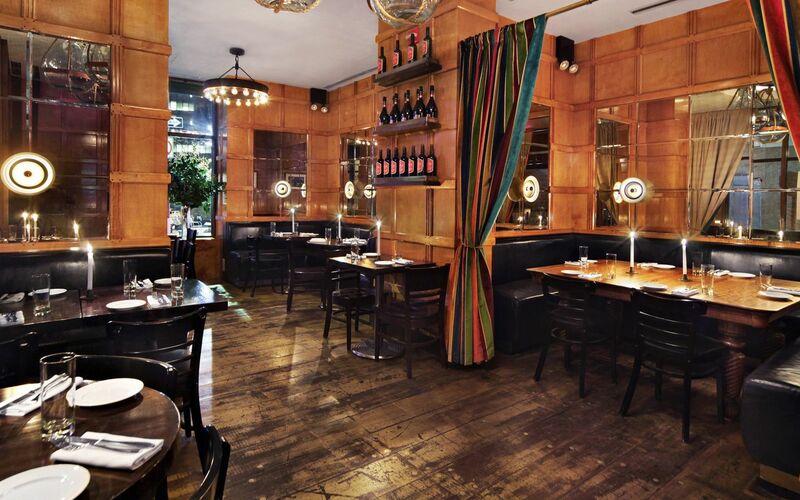 Felice Restaurant features delicious Tuscan fare with a welcoming atmosphere, and the hotel’s La Soffitta lounge and wine bar offers a place to kick back and unwind. 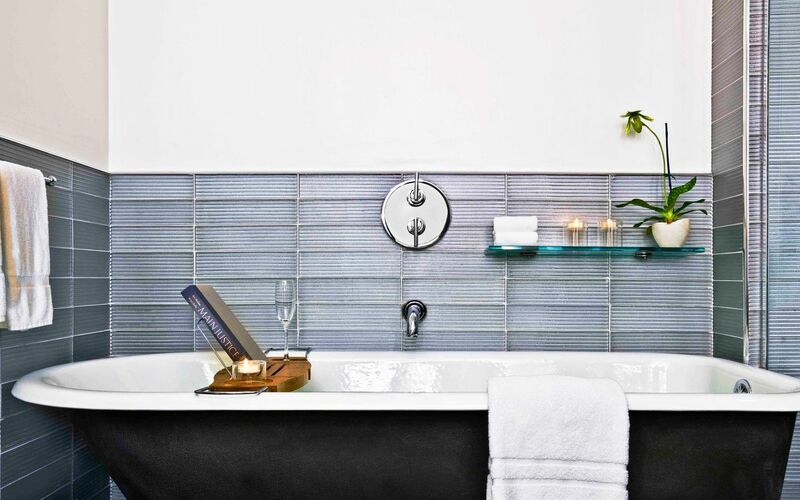 The Jim Walrod-designed hotel feels like the ultimate bachelor pad—masculine, simple, and stylish. 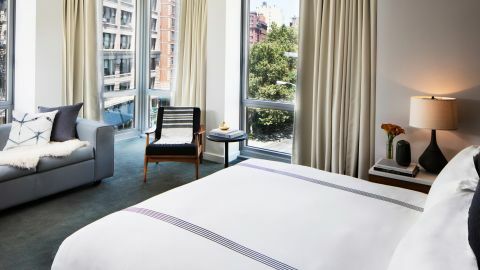 The hotel boasts exercise facilities, minibars stocked with Dean and DeLuca snacks, and friendly, accommodating staff. 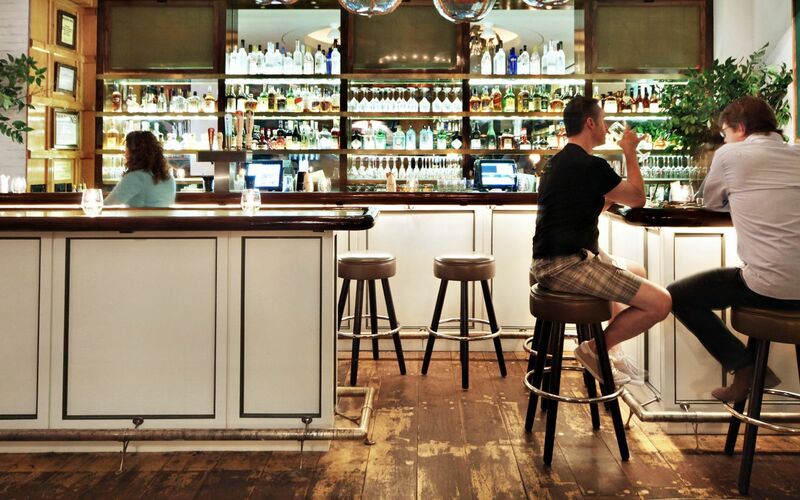 It’s a great option for both the business traveler and the adventurous New York tourist.